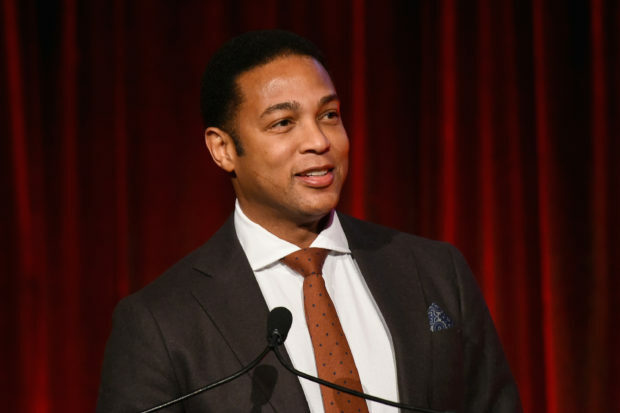 CNN’s Don Lemon suggested that not calling President Donald Trump a racist would violate his journalistic integrity during a heated segment on his show Tuesday night. The panel consisted of three CNN contributors: economic analyst Stephen Moore, political commentator Peter Beinart, and columnist Frank Bruni. Prior to Lemon’s impassioned take, the conversation focused on Trump in regards to his response to the Pittsburgh synagogue shooting, the president calling himself a nationalist, and anti-Semitism in a broader context. “I’ve got to go. I don’t see where statements of fact are wrong. If you have the evidence that points to someone being a racist, everything they say and things that they do points to them being a racist, I don’t think that’s -,” Lemon said before being interrupted. Moore then brought up the current state of the economy under Trump. “I’m just saying don’t say that oh, it’s an opinion. All you have to do is look back. Look back to him being sued for housing discrimination. Look back at what he did with the Central Park five. Look back what he called countries that are for people of color. Look back at the Muslim ban,” Lemon stated.